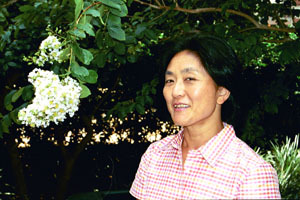 Home Faculty Hideko Kasahara, M.D., Ph.D.
Our current research interest is to understand the function of Nkx2.5, an evolutionarily conserved NK2 class of homeobox transcription factor in mature cardiomyocytes. Within the genomic analysis of cardiovascular diseases, mutations of NKX2.5 (capitals are used for human Nkx2.5) have emerged as a fascinating story both because of the roles this transcription factor plays in formation of the developing heart, as well as in maintenance of the normal heart after birth and through to adulthood. We are particularly interested in a cardiac disorder in adults: progressive AV block and left verntricular dysfunction caused by NKX2.5 mutations. However, the current understanding of NKX2.5’s function is very limited in explaining how the molecular mechanisms of NKX2.5 mutations cause congenital heart disease. 2011: Top 5% reviewer in 2011, Editorial Board, Laboratory Investigation. Calise, J., Abboud, G., Kasahara, H., Morel, L., & Chan, E.: Immune response-dependent assembly of IMP dehydrogenase filaments. Frontiers in Immunology, section T Cell Biology 2018. In press.